The weather in Hong Kong is getting colder. For those of you who don't really know the weather in Hong Kong, the fall in Hong Kong is much hotter in average than other European countries! I know some of my readers are not come from Hong Kong. 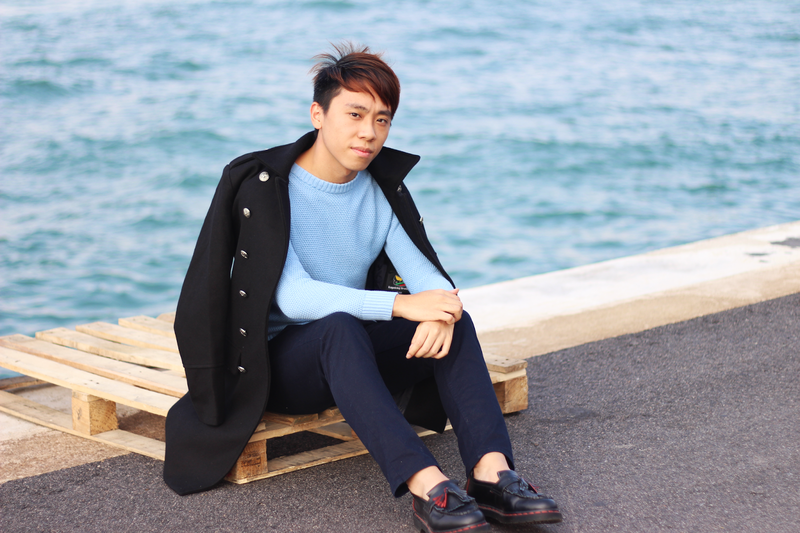 Therefore, I decided to share some winter looks to you guys first! Coat is very important in winter. You can look much cooler when you wear a coat! Just that simple! I just received a coat from Dresslily.com a few days ago and I'm totally in love with it! It only takes two days to arrive! Black coat is a must have for winter items. 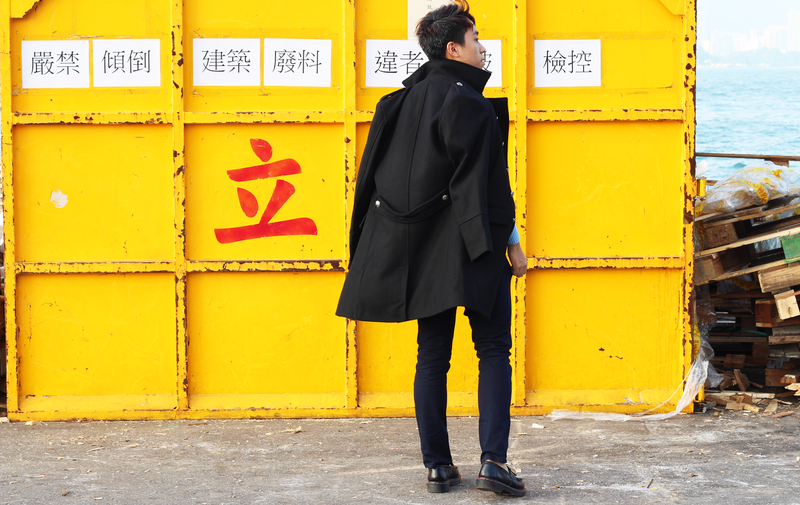 The reason for having a black coat is it can make you look slimmer! This coat from Dresslily.com is a very good example to illustrate that point. 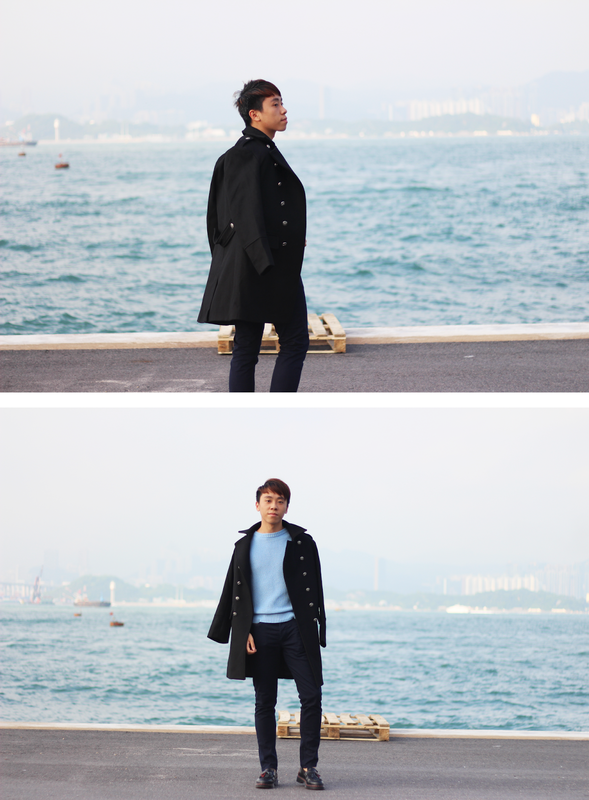 Since the coat is a little bit oversized, it can make you look taller and much cooler! What is your winter must have items? Let me know on the comments section! 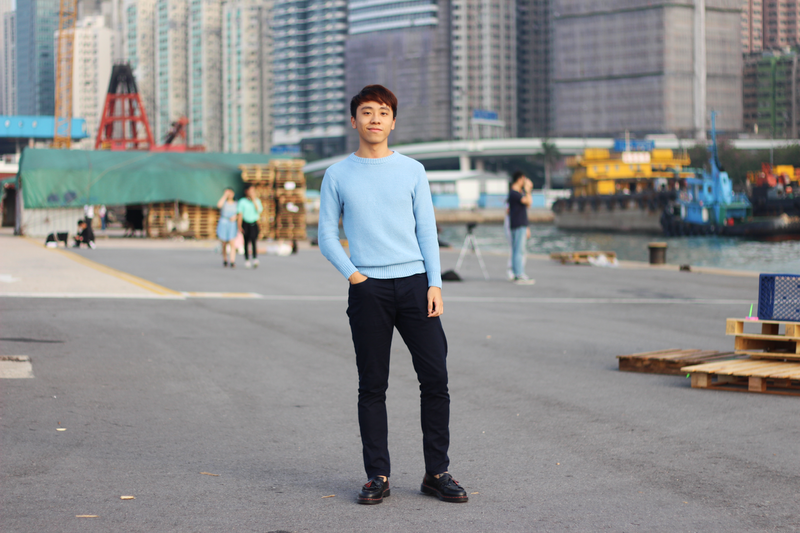 Love the blue sweater and the location! Great look! The sweater is so sharp. Love the color of that sweater. And the military style coat is perfect for fall. Great photos! Great outfit! 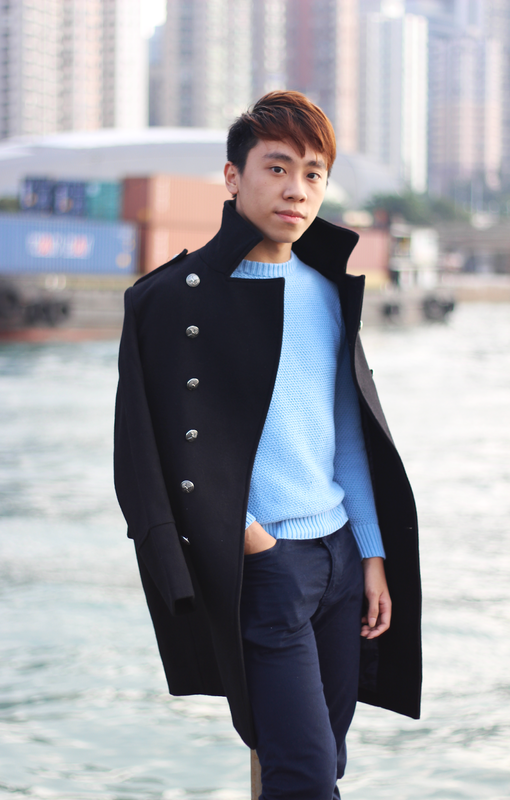 The color of the sweater is amazing, and I really like the coat! You look absolutely perfect. Love the coat and all the outfit. Gorgeous! How cute are you Daniel? Omg those shoes! You look great! Hope you had an awesome weekend! I love that coat! and of course the loafers! 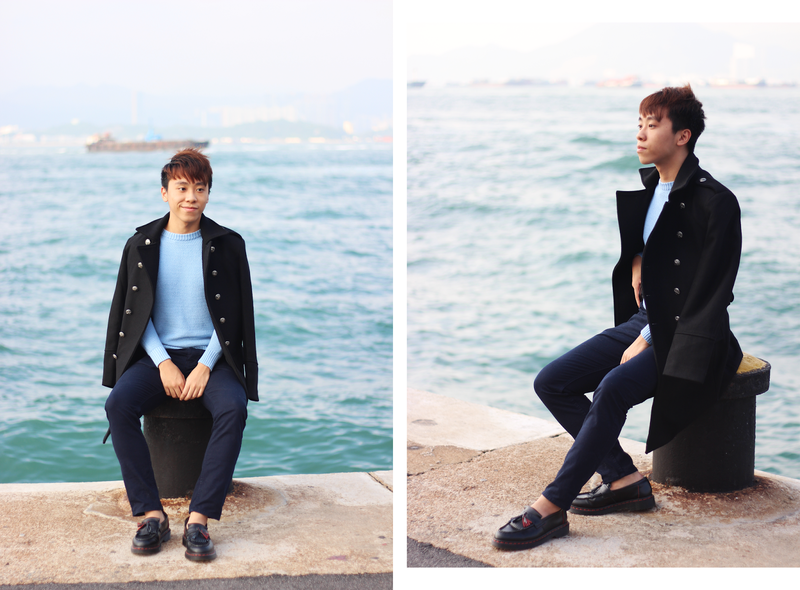 the sophisticated look matches very well with the background sea!! Your sweater and jacket are fabulous! great styling! loved the pics near the water! Absolutely LOVE that coat as well as the location you took these photos in. So stylish and beautiful! Love the look! The coat looks so cool and the expensive! Fab outfit, love the jumper! 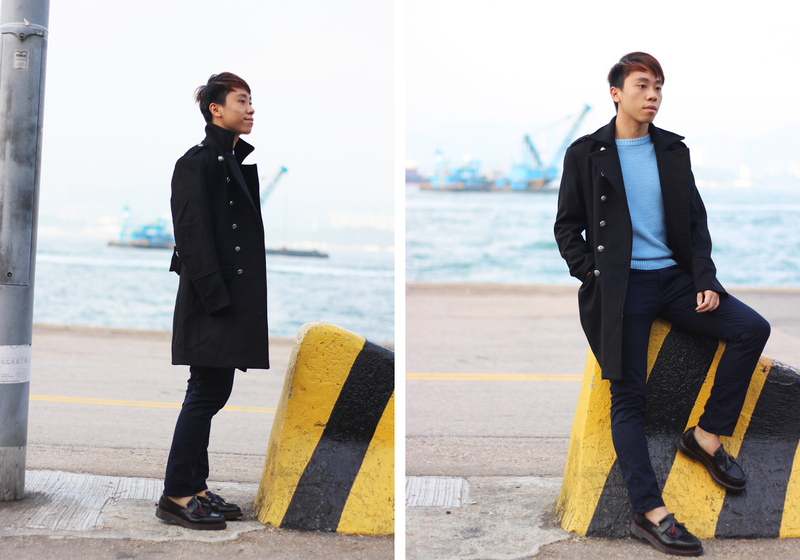 Loving the peacoat and how you draped it! This is such a good look! Love it! Love this dressed up look on you. The coat looks great quality.